We loved St. Petersburg, Russia. The weather was great and the tour was amazing. the beauty and the thought that went into the decor and architecture was spectacular. Highly recommended. Operated by TJ travel. Was able to communicate well with the company's representative to ensure shore excursion was still available even when the cruise arrived a day late. Agree that all logistics visa, pick up from the cruise terminal, car, tickets were very well organized. Our guide was Eugene and driver Constantine was able to ensure our group of 14 people was able to visit the packed 2 day shore excursion itinerary. Eugene was extremely knowledgeable about the culture and history to ensure we had an excellent experience. We were also given the opportunity to try traditional Russian foods for lunch. All logistics - visa, pick up from the cruise terminal, car, etc were very well organized. we were relatively small group of 13 people which allowed flexibility in visiting everything as planned.Our guide, Anna, was excellent, knowledgeable, fluent in English and very nice. It was very well planned 2-day tour, we saw a lot and got the real feel of this remarkable city. Anna's knowledge in art was phenomenal, and very helpful in the museums.Highly recommended. Everything about this tour was great. Tour guide was knowledgeable and had us everywhere on time. Saw so much in the 2 days. Highly recommended tour. The tour were well organized. Our guide Eugene was excellent and very responsible. His knowledge about arts and history are extraordinary. We enjoyed the tour very much. 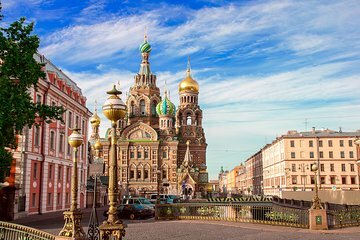 We had an amazing tour seeing all the highlights of beautiful St Petersburg. Our guide with TJ Travel, Michael, was excellent, knowledgeable, fluent, professional. Our driver, Vlad, was excellent as well. 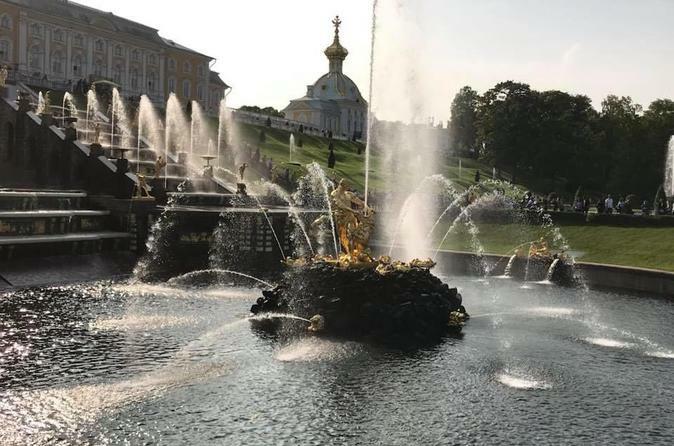 The Peterhof , Catherine palace and the Hermitage were breathtaking. Recommend without hesitation. The best cruise excursion we've ever taken. We had the best tour Guide Olga and a great driver Alexander and there were only 14 of us six of these were my family in a very comfortable Mercedes Van. We saw so many places in the two days we were in Russia and Olga did a phenomenal job at explaining and giving historical background of the places we visited. We even saw places that were not on the itinerary. Olga brought us to an island that once served as a prison and is now a building with many different restaurants. This was a great group and we even took a group picture at the Hermitage. The canal / river tour was awesome and gave you a different perspective of St. Petersburg from the water. Very happy with this tour and way cheaper than what we would have been charge by the cruise ship in addition to being in a big bus with 45 other passengers. Very packed with activities, this high quality tour touches on all the major attractions. Our guide Alexa was extremely knowledgeable and took the time to understand our interests to guide the focus of our visits. She also filled up all our travel time with great information about St. Petersburg and life in general in Russia. The transport was very nice and everything was done very professionally. Tim our guide showed us St Petersburg through the eyes of an experienced guide and a city resident. He was thoughtful and concerned with the comfort of his guests. We saw everything our ship offered at half the price and with a small easy to get around group. Would highly recommend TJ travel.